2nd Annual Independent Film Festival! This year's festival runs from Thursday, February 28 through Saturday March 2 with three jam-packed days of screenings and after-parties. 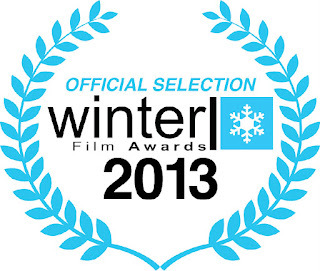 We are so proud of the quality and diversity of films we have to show you this year! We have something for everyone, representing the dynamic range of talent and storytelling capabilities the independent filmmaking community has to offer. Among the 58 films selected for screening is a diverse mixture of documentaries, shorts, features, animation, music videos and horror films, including 9 student films, 15 female directors and representation from over 15 countries. SCREENINGS will be held Thursday, Friday and Saturday at the Hotel Pennsylvania Globetrotter Ballroom (401 7th Ave). Screenings are broken into three 3-hour blocks per day and each block includes 5-10 films. To keep it interesting, we mix it up in each block – you could see a really cool feature or fascinating documentary, a horror short, a romantic short, a foreign short and maybe a few music videos or animated shorts. Please check our website for details of the films in each screening block. Screening blocks run each day at 11am-2pm, 2pm-5pm and 5pm-8pm. WFA AFTER-PARTIES are great networking events! We invite all directors, producers, editors, actors, artists, photographers, models, musicians,press, investors, fashion designers and all in the entertainment industry to attend! •Thursday, February 28: WFA KICKOFF PARTY AT VELOUR LOUNGE (297 10th Ave). The party starts at 9pm. Event is 21+ and is FREE. •Saturday, March 2: 2013 WINTER FILM AWARDS CEREMONY AT STITCH (247 W 37th St ). 9pm-2am. ALL AGES. $10. The Awards Ceremony starts at 9:30, and the party continues after that! Check our website for details of our festival films, after-parties, screening schedules and tickets.